Virtual Tour Waterfront! Spencer Loomis and Middle School North! Entertain a large group or have a quiet night at home in this well appointed & superbly remodeled custom Colonial. A desirable open floor plan w/3 finished levels of living space. 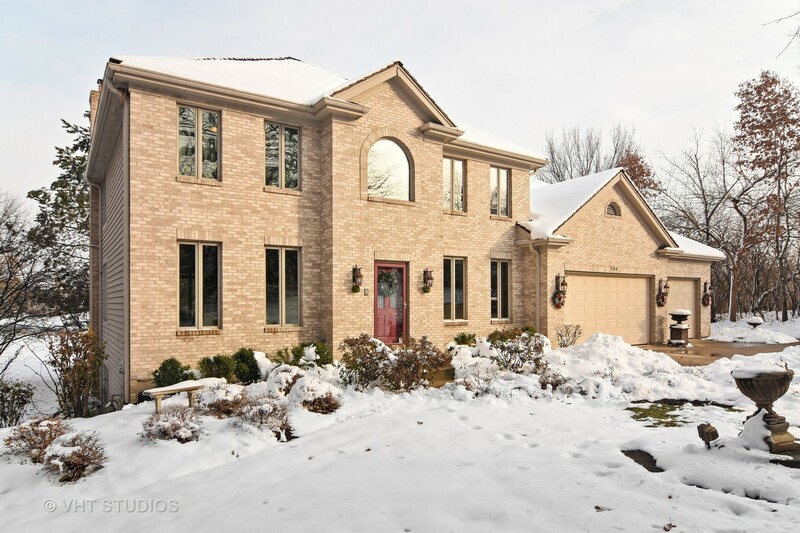 Hardwood floors throughout 1st level w/formal dining rm & library w/built-ins. A soaring 2-story family rm w/custom fireplace is open to a large eating area & a stunning kitchen w/high-end cabinetry & appliances, massive island, granite tops & gorgeous natural light. 3 large bedrooms upstairs include a master suite w/private balcony, lux bath & large WIC. A finished lower level w/enormous rec rm, 4th bedroom & craft rm/office. New roof in 2013, huge heated garage, pro landscaping w/large lawn & patio w/fire pit, tons of storage! Amazing location in Lake Wood Estates on a wooded lot with access to a well stocked pond. Seller can accommodate a quick close. You must see this home in person! I was searching on Blue Fence and found this listing. Please send me more information about 185 Elderberry Drive , Hawthorn Woods, Illinois 60047. Thank you.